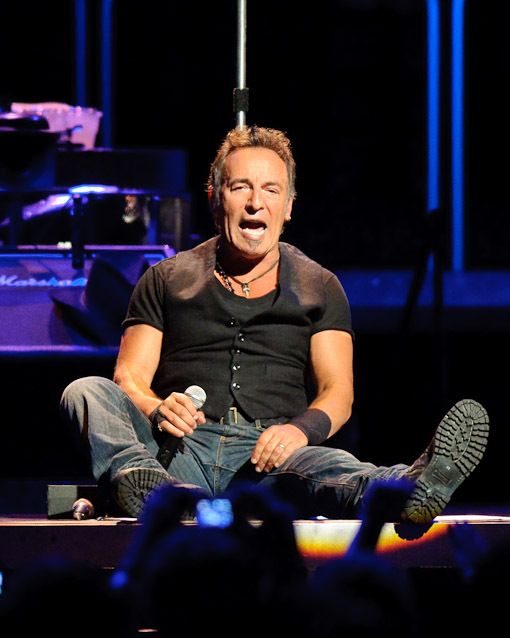 Springsteen MSG Tickets On Sale Today | Springsteen Spectacle Taping Tonight? Springsteen Taking A Break From Touring? If there’s one thing that we know for certain, tickets for Bruce Springsteen‘s two night stand at Madison Square Garden (November 7-8) go on sale today (Sep 18) at 12 noon. But what is less certain is where Bruce will be tonight, rumors have it that he’ll be doing a secret taping of Spectacle… Elvis Costello With somewhere in New York (possibly at the Apollo). On Wednesday, Roger Friedman‘s ShowBiz411 blog reported on some details of a recent Spectacle taping with U2 in Toronto and confirmed that Bruce Springsteen was among one of the upcoming guests slated to have a seat on Costello’s couch. All remaining Bruce Springsteen fall 2009 tour dates afer the jump.